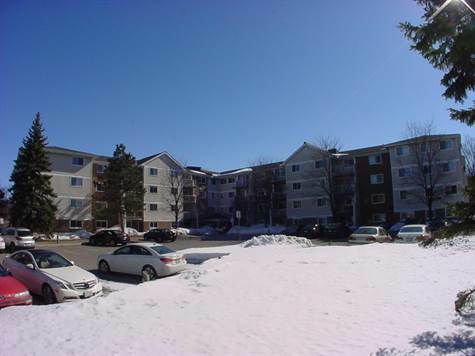 Affordable 1 bedroom condo in the Desirable Brittany Park Complex. This unit features in-suit laundry with 4 appliances included. The master bedroom features a walk-in closet and the living room has a patio door leading to the North-East facing Balcony. The facilities feature a beautiful park setting and rec facilities including; indoor pool, outdoor pool, sauna, racket court and gym. No membership fee but a fee for the rec building key fob and key fee for the outdoor pool.